I think that there should be a mod that you have to go find in a wreckage, then make with a fabricator. The mod show up on the tablet as an tab. However you need to go around and discover with the map, and this will show you when you put your cursor over the biome, and resources that's gathered there. This will I think would be a nice addition to the game so we don't need to know or remember where certain biomes are. While a map would be great, the map you have posted is very outdated. Hey i am new here, Hello everyone. I also would support the idea of a Map than you can draw up over the time. It also would be totally awesome, if you could stream your InGame-Map to your Smartphone/Table over a little App. Does this sounds good to you guys? Hey all! I was just thinking about this. Ideally, the AI that keeps telling you updates about the terrain and your health should give you an "planet scan" to allow you a knowledge of biomes, resource sources, points of interest, along with the ability to set markers for traveling. Linking to a smartphone or companion app could be set up through the Xbox App as a monitor and plotting device. I really like the way this game has grown in visuals and game play. Really looking forward to seeing how much stronger it can get! A map would be fine, but i'd prefer it to be found in the Aurora after you get in, and you have to add to the map, not all of it being there all ready. Though mods are fine, if it were added to the base game, it would be a lot less time to actually get the map, just saying. An in-game map would be a great addition - one that started out blank, and filled in as you discovered areas and points of interest. In conjunction with this, some sort of real-time coordinate display would be very useful. I feel as if I am cheating when I press F1 to see the coordinates and biome names. I have been taking notes of POIs and entering the coordinate and my notes in Windows Notepad - it would be great if this could be done with the map in-game. A solution could be to have the scanner rooms link to the PDA and provide a scan of the area that it have scanned beamed to it. Then you could map out the area by placing more scanner rooms and thus getting a larger map. If it started blank, then how do you know where YOU are? Your forgetting to add the part that is, your current biome location is filled in, when you swim in other locations you have to go to the map and press "Add Biome", then wait for it to load and fill in, then continue. I agree a map would be super helpful. Something on your tablet that would “learn” as you go, adding information of what you find and with the ability to display further information for resources/enemies located there. And being able to add markers so you know where curtain locations are, and how to get back to them. This would definitely be a nice addition to the game. I'm currently playing a modded version that adds an in-game map in the same tab as the beacon customization and it makes the game a lot more user friendly. Yes or at least an app in the PDA where you can draw your own map. You could connect to alterra app store and download it, don't forget to like and subscribe. Was i not the one who suggested the drawn map idea. You probably were, and it a good idea especially for those saying we should just draw the map with analog pen and paper. 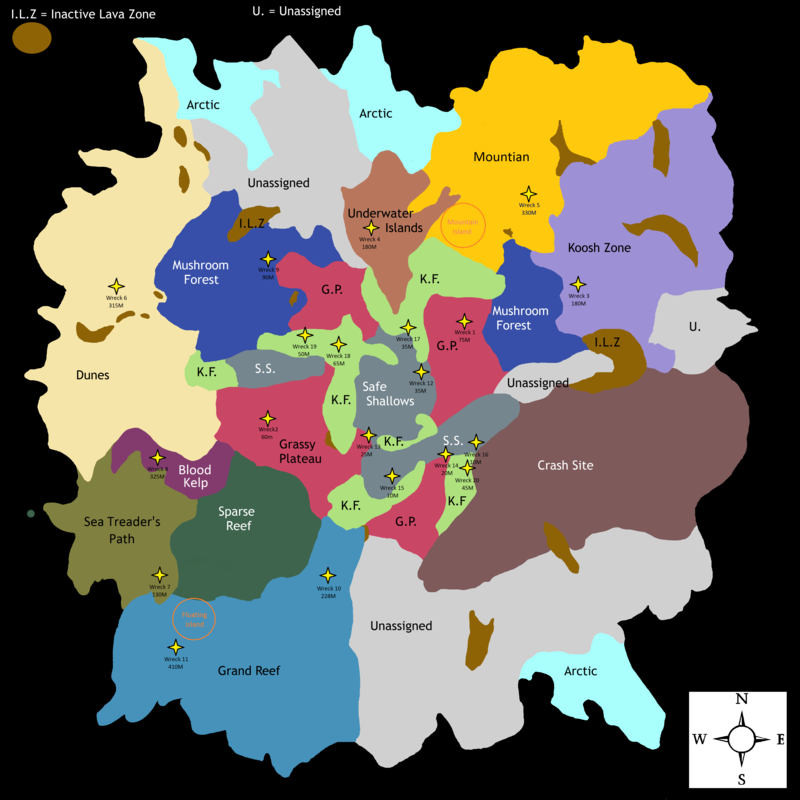 Since I am a lazy orc I can sense when game devs are just being lazy and don't want to make an in-game map.